Today, we’re continuing our series on heaven! As we saw yesterday, Adam and Eve experienced total joy in the Garden of Eden, where they walked every day. They experienced perfect communion with God and enjoyed being with Him in the evenings. (see the Bible, Genesis 3:8). We’d walk beside Him, joyful and confident. Your prayers are automatic, lack conviction, because you’ve lost faith. God invites you to enter into His rest and perfect joy. He reminds you that you have the privilege of living in His presence all the days of your life. I encourage you to follow Jesus closely! Draw nearer to Him, become His friend like Adam and Eve, like Moses, whom He spoke with as friends. Enjoy His joyful and comforting company. 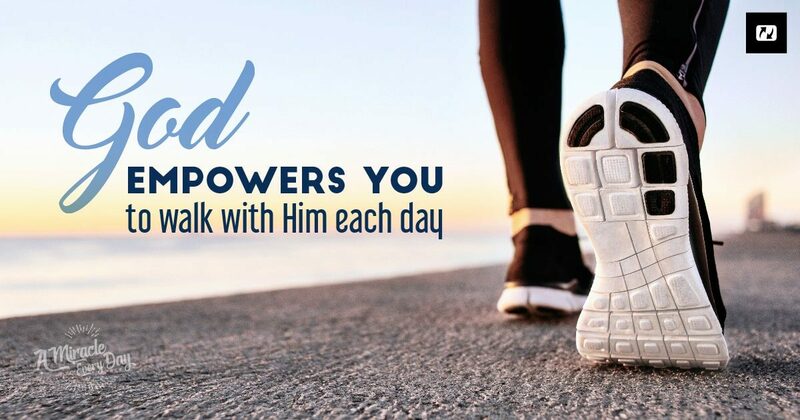 You will follow Christ better by walking close to Him, all throughout your journey. Have a fantastic day with Jesus by your side! I just want to thank you for answering my request to send me the my miracle at 6am when I immerse myself in the word of God before I start my day. I know you didn’t have to do that, thank you. Thanks for existing. Thank you so much you are truly an awesome miracle God sent to me to keep me in the light and encouraged!